Anderson Hay’s strong dedication to teamwork applies just as much to our customer relationships. We do our utmost to make doing business with us a first-rate experience. Our relations with customers worldwide continue to prosper, enhanced by strong ties to key government officials home and abroad. With strategically-based port facilities in the Western United States, orders of all sizes and destinations can be shipped quickly and efficiently. 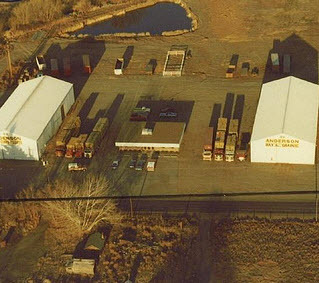 Anderson Hay’s dedicated staff make sure all steps, from traceability and inventory management to processing and transportation, are done specifically to fill each customers' needs. Our commitment to operational expertise also manifests itself in our application of advanced technology and our state-of-the-art facilities and equipment. Anderson Hay has built our business on looking to the future with a clear eye on its changing demands. Anderson Hay is committed to fulfilling our long-established promises to each and every customer. We take to heart the rapid change in a complex, global market, and guarantee that our customers will always receive reliable, friendly service, on-time delivery and consistently superior products, today and into the future.